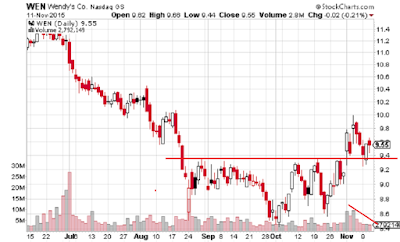 Wendy's WEN is a trading range breakout that retested new support at the top of the old range and is holding. I bought some at 9.64 with a stop loss area of 9.20s. Decent risk stop loss with a lot of upside over 10 breakout.